This beastie was too heavy for my scale to weigh!! 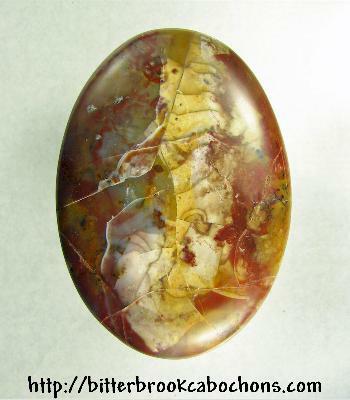 This 69mm freeform oval Brecciated Jasper cabochon is really a doublet. It served as classroom demonstrations of both a big cab and a doublet. The back of this beauty is low-grade Unakite. It's staying in the collection just because "I like big cabs and I cannot lie!" 69mm x 49mm x 10mm. Weight: 300.00 carats.